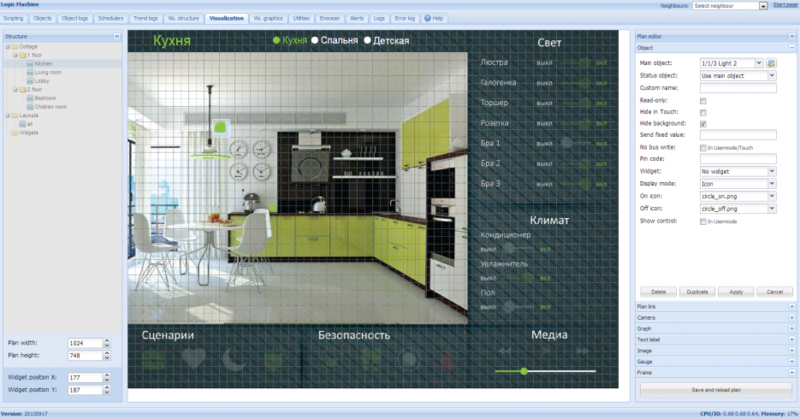 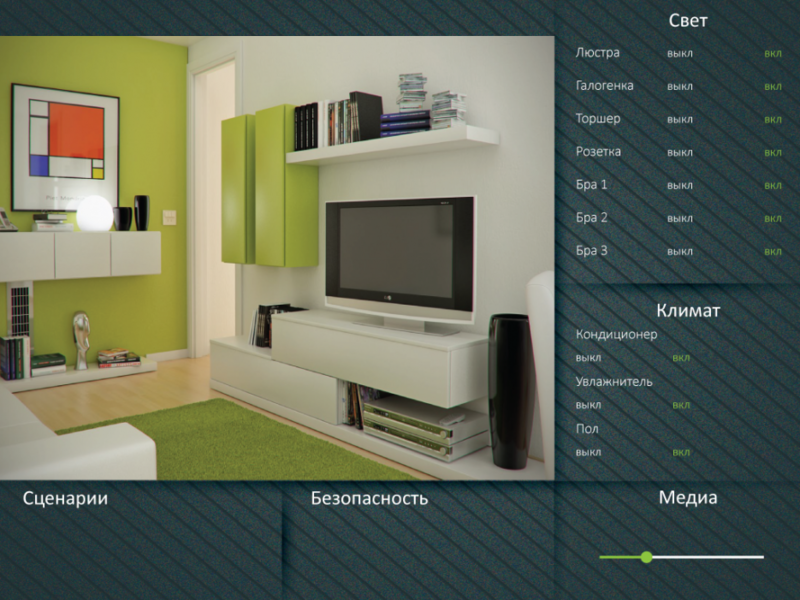 In Layouts/Widgets submenu create a new layout which in this example will be used for all rooms. 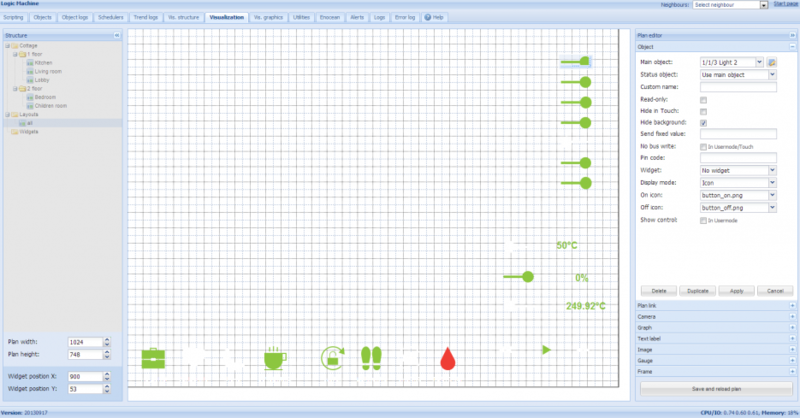 In Levels/Plans submenu click on Add New Level button. 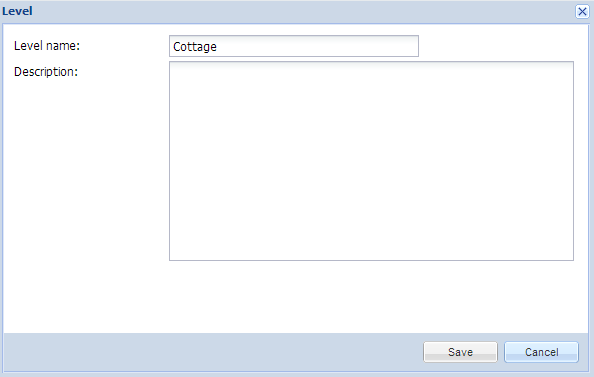 Add two second levels by clicking on the + icon on the right side of Cottage entry. They will act as floors in this example. 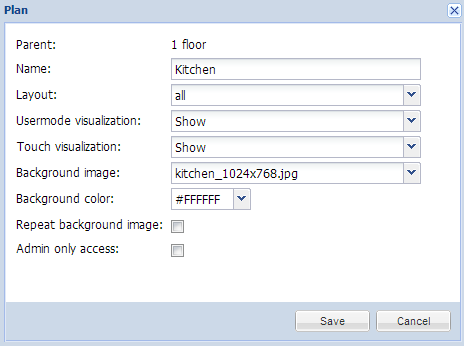 Add Plans by clicking on + icon on the right side of the specific floor. 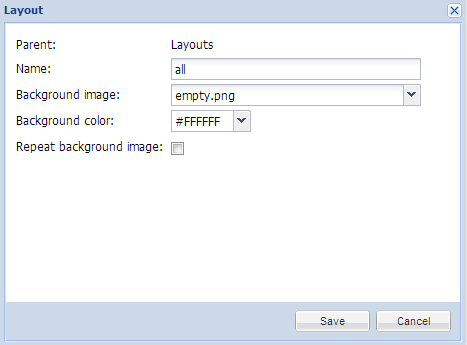 Specify the layout all which was created before, and Background image.